WASHINGTON, DC -- Florida congressman Carlos Curbelo said Friday he sees growth in the ranks of House Republicans who back immigration reform, including a "reasonable" solution for those in the country illegally. To help that along, the freshman Republican has formed a political action committee to raise money and contribute to campaigns of Republicans who support securing the border, reforming legal immigration and providing a solution for those without legal status. "I can assure you that there is a silent majority of House Republicans that believe that it is critical to overhaul our country's immigration law from A to Z," Curbelo told NBC News. "This is part of the effort to support them and to continue building momentum for this necessary reform." He has dubbed the committee the What A Country! PAC, or WAC PAC. It's creation was first reported in the Miami Herald. "I can assure you that there is a silent majority of House Republicans that believe that it is critical to overhaul our country's immigration law from A to Z," Curbelo told NBC News. Formation of the PAC comes as Republicans have been trying to undo executive actions President Barack Obama has taken on immigration, states have filed lawsuit to keep from having to implement the actions that include deportation deferrals for some and House Speaker John Boehner has said he plans to file another lawsuit over the immigration action. 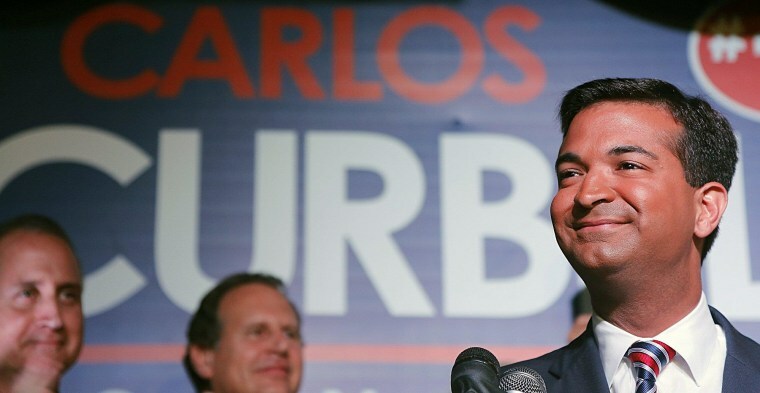 Curbelo was among Republicans who voted against two amendments to a funding bill for the Department of Homeland Security that seek to block Obama's most recent immigration executive action and end a 2012 action providing deportation relief for young immigrants here illegally. Curbelo also voted against the final bill, which passed with 236 votes, only two from Democrats. The divide in the GOP over immigration reform was clearly visible in the Republican responses to the president's State of the Union. The version delivered in English by Sen. Joni Ernst, R-Iowa, an immigration hardliner, did not mention immigration. Curbelo's version in Spanish did. RELATED: Did Republicans Flub Latino Outreach With SOTU Responses? Curbelo acknowledged that the road is not easy for some members who support immigration reform. "What's happened is there are independent groups out there that have hijacked the term amnesty and they use that to threaten Republicans in primaries," Curbelo said. "That is a reality and this will help my colleagues explain that no one, no one that I have spoken to in the U.S. House ... supports amnesty, which means zero consequences for those who have broken laws. "We do support an overhaul of immigration laws, which include an opportunity for people who violated the law to reconcile themsleves with the law," he said.